Richard Heaton, MoJ Permanent Secretary and Civil Service Awards Champion. As the Civil Service Awards enter their second decade, I’m proud to be the new champion for the scheme. My predecessor Una O’Brien was tireless and inspirational in supporting the awards. Over several years, Una promoted recognition for a whole range of achievements which must rank among the best by any public service anywhere in the world, and which all UK civil servants can feel proud of. I’m pleased to announce that nominations for 2016 are open. It’s now your chance to nominate someone you’ve worked with, or someone you admire. They could be a role model, a leader, a disrupter, a hero, or someone who simply gets thing done. For most of the awards, you can nominate a team or an individual. Don’t be bashful – you can also nominate yourself. Your nomination might be for a scheme that is nationally celebrated, or for work that is quiet and unsung. It might be about an infrastructure project, or about personal care. Your nominee might be a single, determined individual, or a multi-disciplinary team. A word about the categories, and some changes we’ve made. The Civil Service never stands still. In order to deliver better services and better value for the taxpayer, we deploy new technologies and we innovate all the time. The categories reflect that. But when we asked you in a survey what else we should be celebrating, you overwhelmingly mentioned the value of face-to-face service. So, we now have a Customer Service Award, reflecting the fact that 70% of you work in frontline operational delivery roles, looking after victims of crime, customers, offenders, service users, and our other fellow citizens. We’ve also included a Collaboration Award, to recognise the importance of more joined-up working between departments, administrations, agencies, nations and regions. Public services aren’t consumed within neat organisational arrangements. Collaboration and partnership make us infinitely more effective. And you might notice that this year the Policy Award carries the name of Chris Martin, an outstanding civil servant, policy thinker, and head of the Prime Minister’s office in Downing Street. Chris died from cancer in November 2015. Let’s make sure that we honour his memory with an exceptional crop of nominations across all of the 16 categories. Last year there were around 900 nominations. Let’s try and reach 1,000 this year. I hope they’ll capture the commitment, capability, skill and spirit that all of us know is out there, working for the governments that we serve and for our country. The deadline for nominations has been extended until midnight on Friday 22 July. 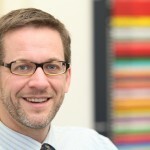 Follow Richard on Twitter: @RH_MoJ .